Totally reminds me of the underoos I had when I was little! I had the WW underoos when I was a kid also. Too funny! I'm so glad you wrote me, 'cause I lost you! I wanted your cute little button to put on my blog and was gonna come back and search your site and boom, bang, bummer. So, glad you stopped by. The Cleanser is tough. I did it b4 but didn't do the whole 10 days. Now that I'm into it, I see I have to slooooowly get off of it. So though I'm thru Sat., I can't eat normal food till Wed. That, my friend, is where the gassies come in. Gotta be real careful *wink* hhehe Have a gr8 night. ♥ THat's SOOO funny! We watched it all the time growing up! I always wanted those underoos when I was little. 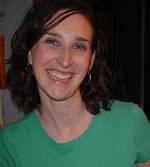 I never got any so I wore an undershirt and I was Uundershirt Lady. I can not believe I just told you that. I love those, very cute. 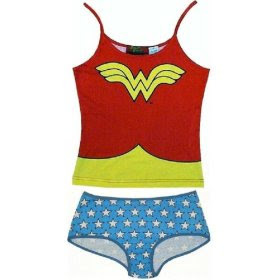 I had Wonder woman underroos too! My mom made me wrist bands with tin foil covered toilet paper rolls. I am sure I was HAWT!